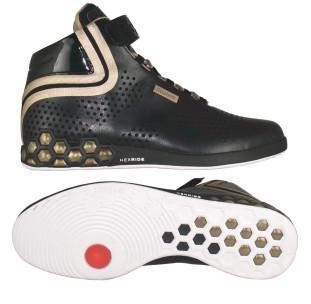 Remember REEBOK SMOOTH FIT ALL OUT SNEAKERS? the Smooth Fit All Out created solely for the ladies. The Smooth Fit All Out consists of a futuristic appearance that features perforations along the sides of the sneaker with a hexagons placed at the midsole giving it an abstract design. 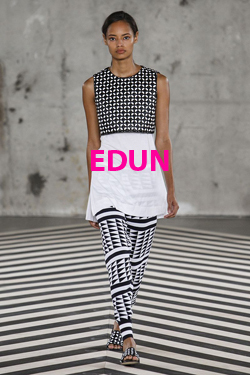 More patterns appear on the insole corresponding to the upper with bold stripes wrapping around the heel. 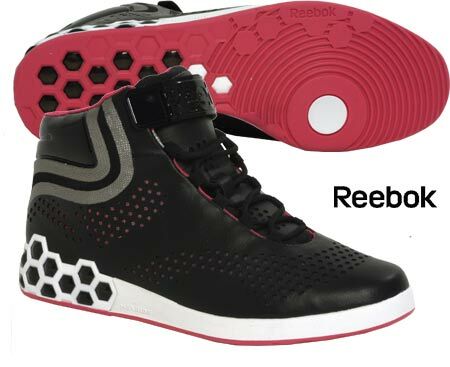 The Reebok SmoothFit All Out is designed to provide exceptional comfort and support. 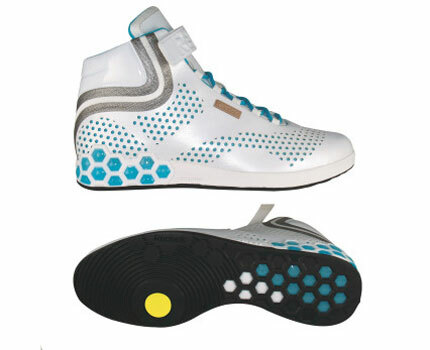 It features two of Reebok’s state-of the-art technologies – Smoothfit and Hexride. 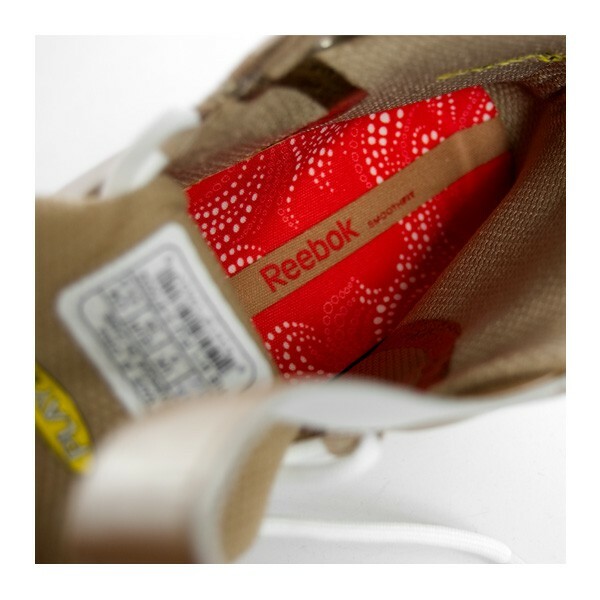 Reebok’s SmoothFit is an upper technology that provides the ultimate in a comfortable fit. All seams are eliminated or sealed both inside and outside the upper. 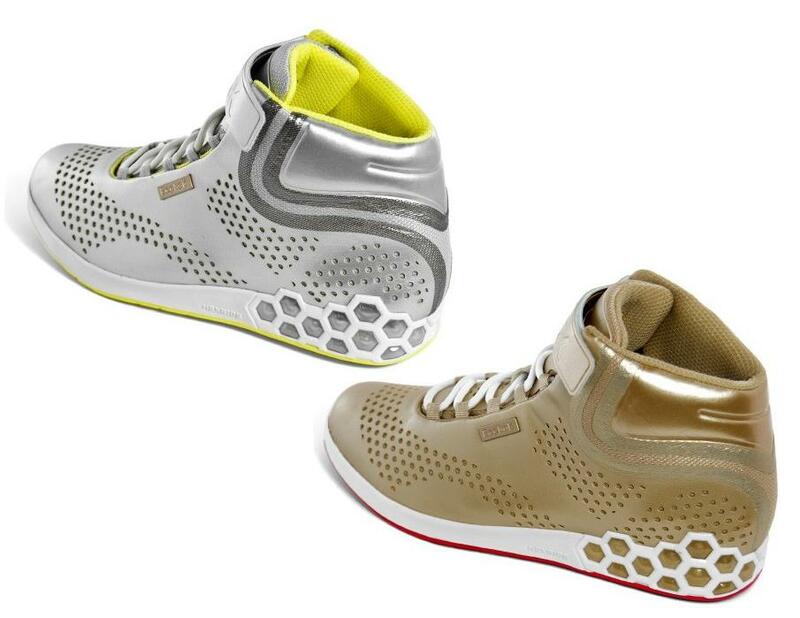 The goal is to create a fit with minimal potential irritation inside a light, flexible, streamlined aesthetic upper. 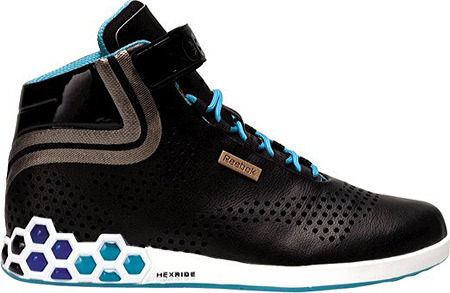 HexRide technology was developed to provide a lightweight ride with exceptional air-cushioned comfort. The air inside the hexagonal shapes in a honeycomb-style is sealed in with impact resistant polymer film to create a lightweight cushioned ride. 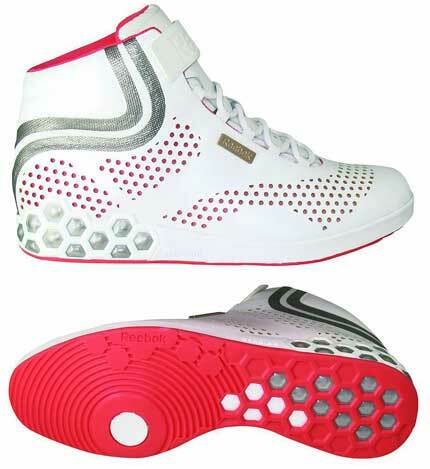 Features a rich leather upper with perforations around the toe and along the sides and mesh inserts. SmoothFit technology in the seamless upper offers ultimate in comfort with minimal irritation and provides sock-like comfort you can feel. 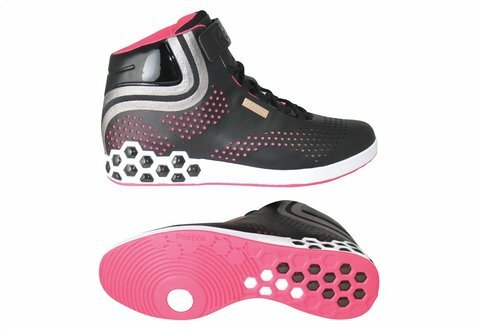 The air cushioned HexRide heel provides added comfort. Also features a velcro ankle strap closure for support, a padded tongue and collar for comfort and a close foam molded polyurethane anti-bacterial sockliner . The rubber outsole delivers traction. SmoothFit technology creates a smooth, comfortable, irritation-free fit. That’s because all seams are either eliminated or sealed both inside and outside the shoe. SmoothFit, sock-like comfort you can see and feel. Set a new record in the seamless Women’s SmoothFit Go running shoes by Reebok. ← Lethbridge College has revamped its fashion design program to include an emphasis on sustainable mass production. Hey do you know where i can buy this? 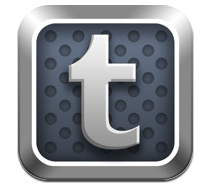 I search all over the net but i can’t find anything. I am from Romania. If you can help me i appreciate. You can find me at stanboggdan54@gmail.com.